Check out your favourite Saturday Morning Cartoon icons in a different shade of cool in these new posters conjured by artist Tom Whalen and Dave Perillo in a collaboration between Acidfree Gallery and Hasbro, the home of Tansformers and G.I. Joes. We have featured Mondo (the Alamo Drafthouse's collectible art boutique that has been an absolute juggernaut when it come to rolling gorgeous graphic prints and posters on popular (and at times, not so popular) licensed products) on more occasions than we can recalled. 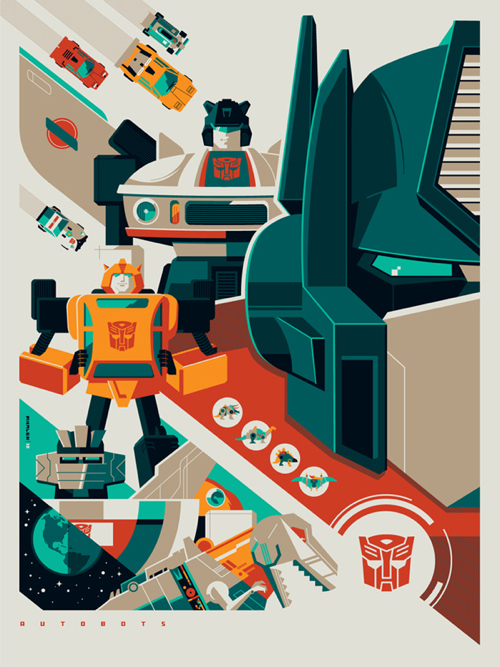 While the unstoppable graphic factory is indeed undoubtedly awesome, we can't help but noticed how they are pretty much the only significant fish in this pond... until now. 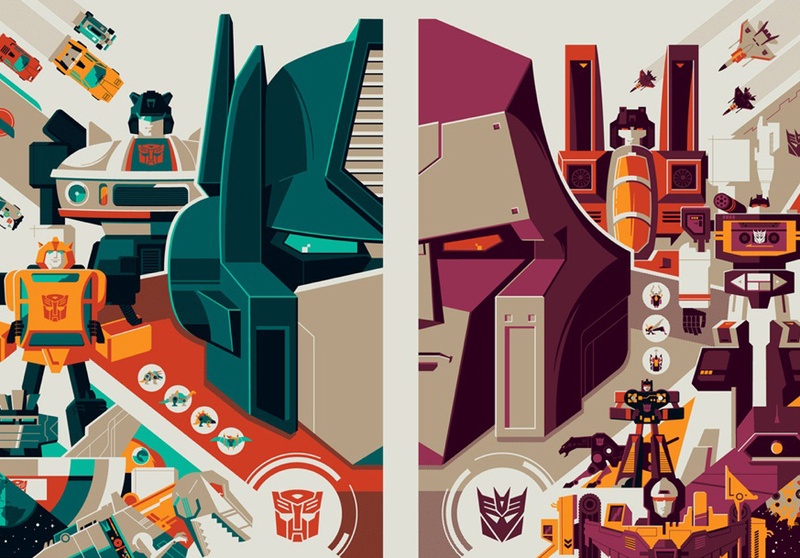 Making their presence felt at this year's New York Comic-Con, the folk at Acidfree Gallery have rolled out a series of prints channelling some iconic Saturday Morning Cartoons in their collaboration with Hasbro, the home of Tansformers and G.I. 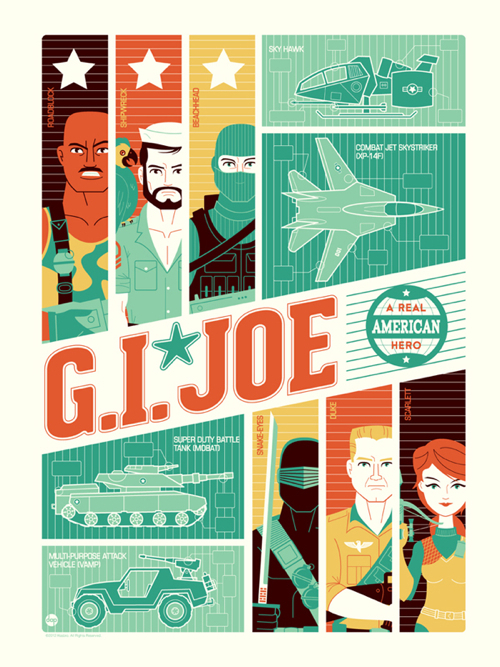 Joes. 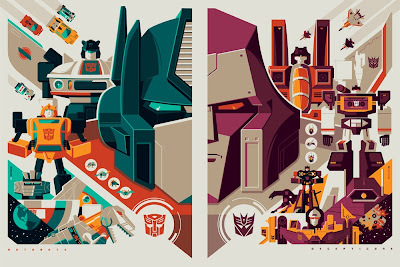 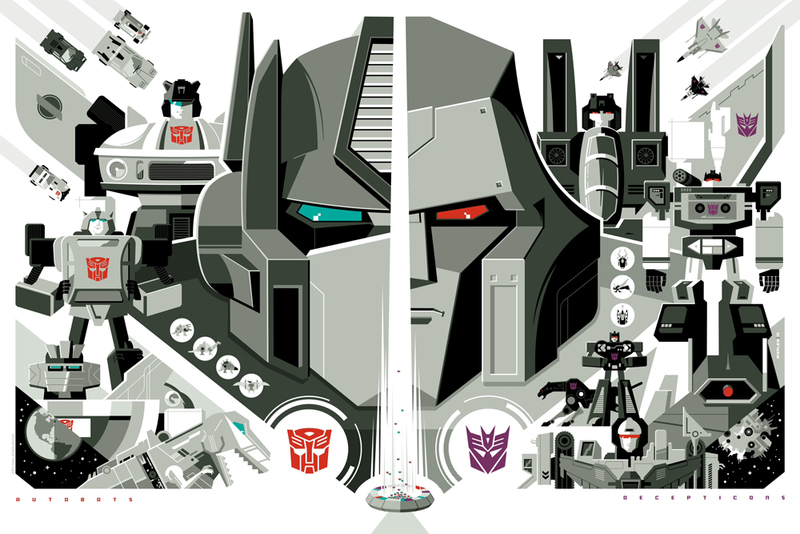 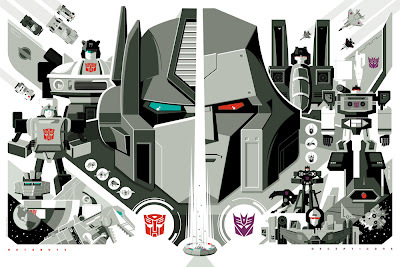 Courtesy of OMG Posters, hit the jump to check out these cool prints featuring Autobots, Decepticons, G.I. 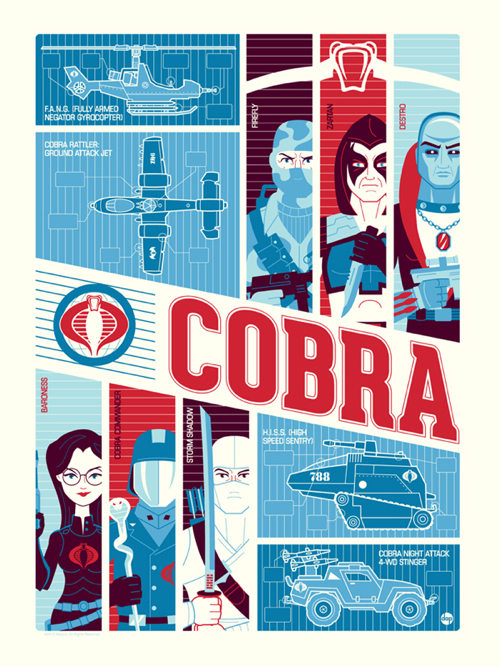 Joes, and COBRA in action as conjured by notable artists Tom Whalen and Dave Perillo. 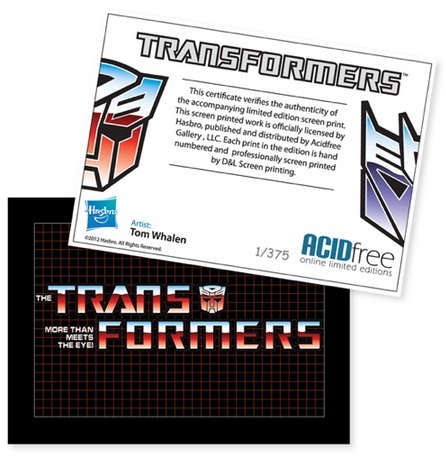 A trading card certificate of authenticity hand numbered to match each hand numbered print will be included with every print in the series. For the variant prints, the numbered card will come with a signature by their respective artist.